Mercedes-Benz Vans has introduced dual-clutch automatic transmission versions of the Citan. From June 2016, selected Citan 112 variants will be available to order with the new 6G-DCT automatic transmission. 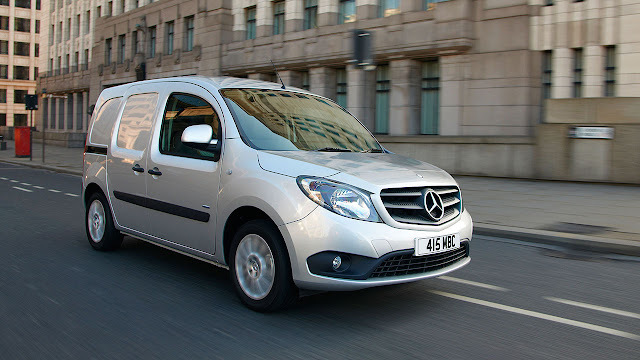 Citan panel van and Tourer models with the 112 petrol engine can benefit from the double clutch transmission, which combines the comfort of a six-speed automatic transmission with the driving dynamics of a manual gearbox in a compact and light-weight design. The six-speed dual-clutch transmission consists of two sub-transmissions, each with its own clutch. As one transmits drive to the wheels, the other has pre-selected the next gear. This allows for near seamless gear changes without loss of tractive power, high levels of driving comfort and convenience. Priced from £15,820 excluding VAT for the 112 panel van long 6G-DCT, and £17,900 for the Tourer long variant, Citan is now more versatile than ever before.